Pulled from working build, removed and placed directly in individual anti-static protective packaging. Wrapped carefully with bubble-wrap for safe delivery. Guaranteed to function perfectly! Excellent power for the value! Received this chip for an absolute bargain (less than $60 shipped), and it arrived pretty fast. Slapped it in my X79 Asus Rampage IV Gene motherboard and updated the BIOS, and it works like a champ! Did a few stress tests to make sure nothing was wrong, and I'm extremely satisfied. 8 core - 16 thread processor that competes head to head with the latest i7 series processors and outdoes them in a numerous about of benchmarks. Very happy! High Performance on the Cheap!! 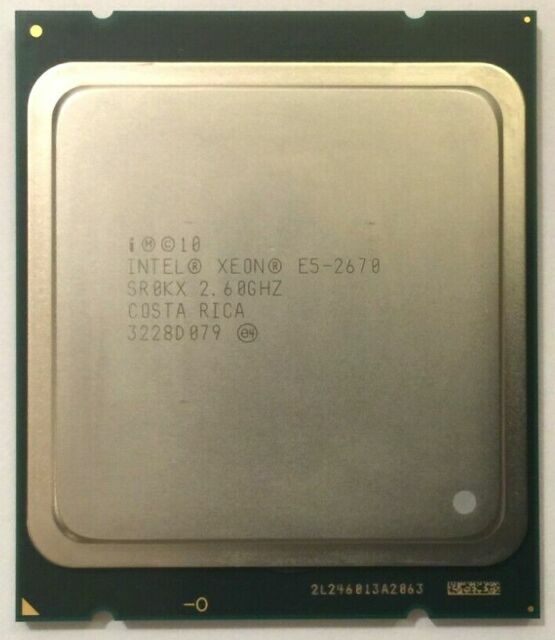 Was looking for an inexpensive entry to HPC and found this gem...Matched it to an MSI X79 board and Windows Server 2012 R2 Essentials and I'm set with an totally great Applications and Media Server...Cha Ching!!! Kudos to this vendor and will be adding to my preferred vendor's list.. These procs really wake up servers that run E5-26XX procs whether single or dual. This set has performed extremely well in Exchange server single and dual proc roles (replacing E5-2620s) and single proc 2012R2 setups with one Hyper-V machine running Exchange 2013. Render performance in Revit has increased substantially over my i7-4820K, having effectively doubled the number of cores for only $100 on a CPU that cost $1,500 new. I have heard that the price of LGA 2011 motherboards have skyrocketed, so the value you get will vary depending on whether or not you already have the mobo like I did. Intel CPU of this class is OK as usual. Especially for this price. We use it in our renderfarm and it was very good upgrade to our renderfarm power and efficiency.